A journey through the historic Burren takes you to some of the best-preserved early medieval buildings in Ireland. There are several great stone forts that functioned as tribal centres of ‘túatha’ or petty kingdoms. From perhaps as early as the sixth century, early Christian followers began to establish themselves in monastic communities and hermitages and as many as nineteen churches of the Burren túatha can claim early Christian ancestry. Tower Houses were the strongholds of ruling families and their cadet branches in the Burren, namely O’Briens and the O’Loughlins in the fifteenth and sixteenth centuries. Historic Burren is a place of continuity and change, and by the seventeenth century it had begun to reflect a new interest by the gentry class in more commodious living. This is perhaps best expressed in the addition in 1643 of a spacious, bright and heated fortified house to a fifteenth-century tower house and the development of walled pleasure gardens and parkland, at Leamaneh. The great stone forts and cahers of Caherballykinvarga, Cahercommaun, cahermore, Caherconaill and early church sites – Oughtmama, Killinaboy and Kilfenora. Kilfenora high crosses and cathedral, Cistercian abbey of Corcomroe. 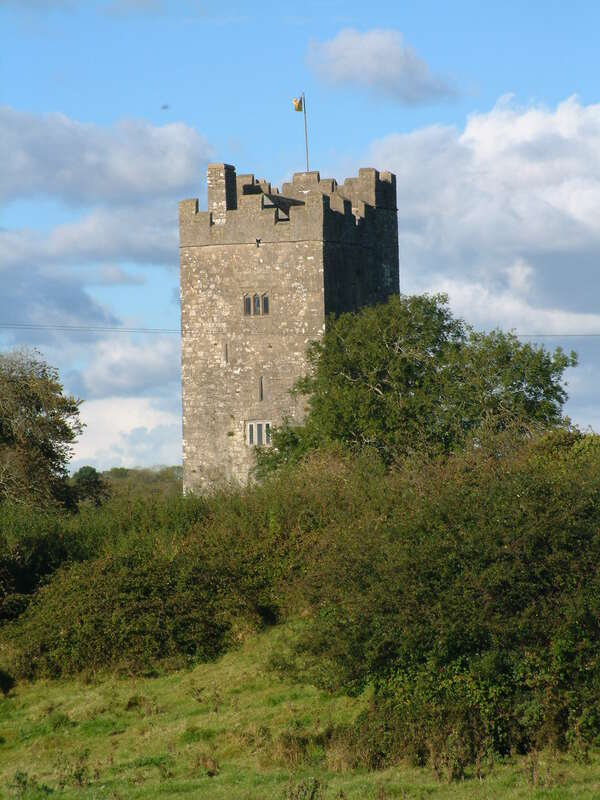 Continuity of Caher tradition- Cahermacnaghten, Cahermore, developement of tower houses Gleninagh, Ballynalackan, Newton, Donnagore, modifications to parish churches Carran, Drumacreehy, Noughaval; dissolution of abbeys and churches. 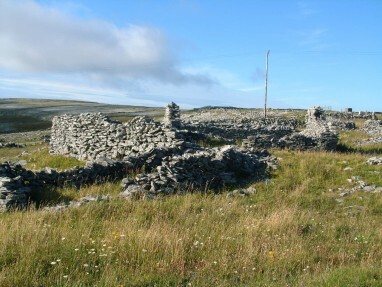 Continuity of tower houses and ring fort settlements; advent of fortified house architecture dispossession of Burren Gaelic families and transplantation of families into Burren during Cromwellian Settlement.